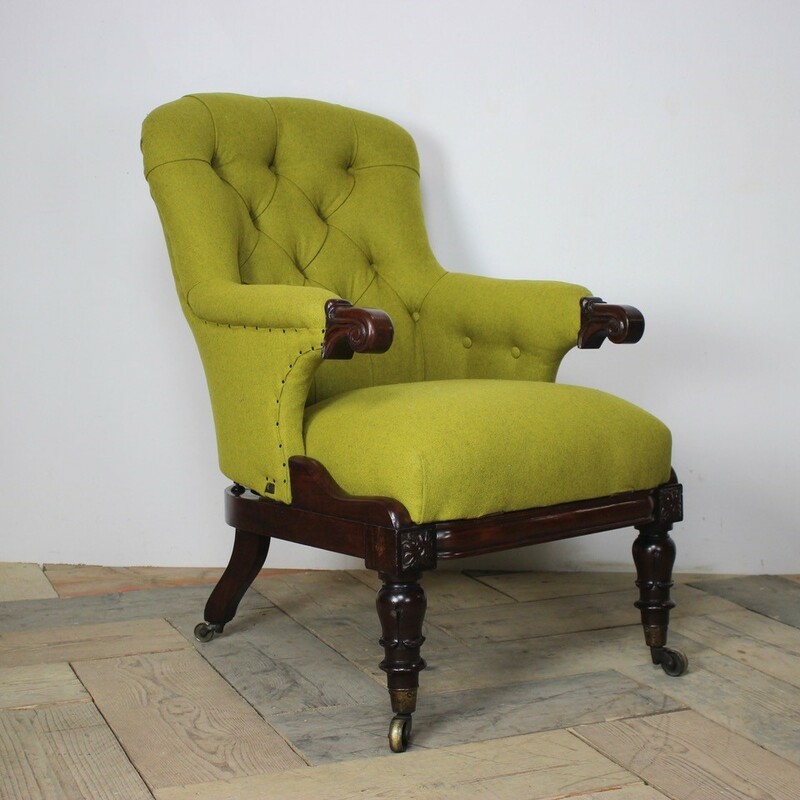 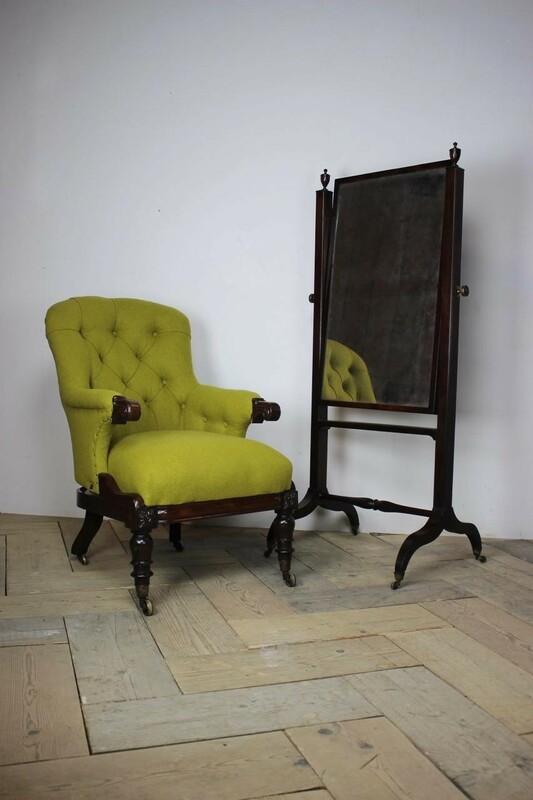 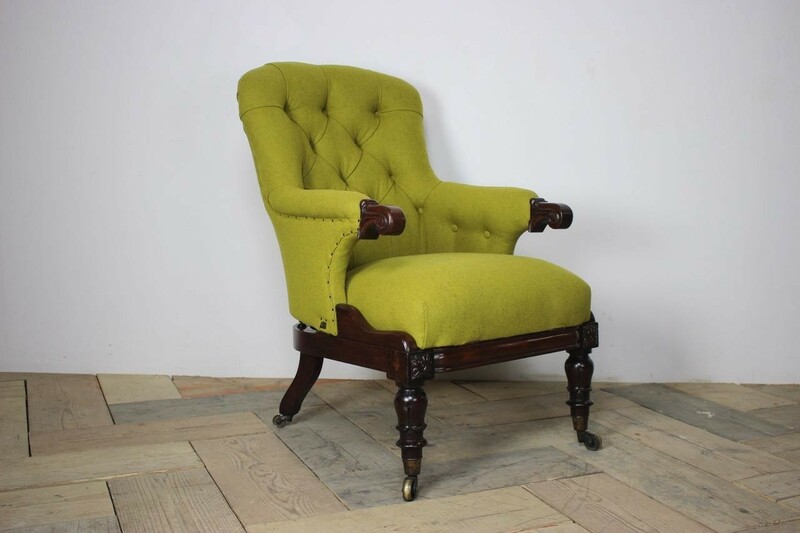 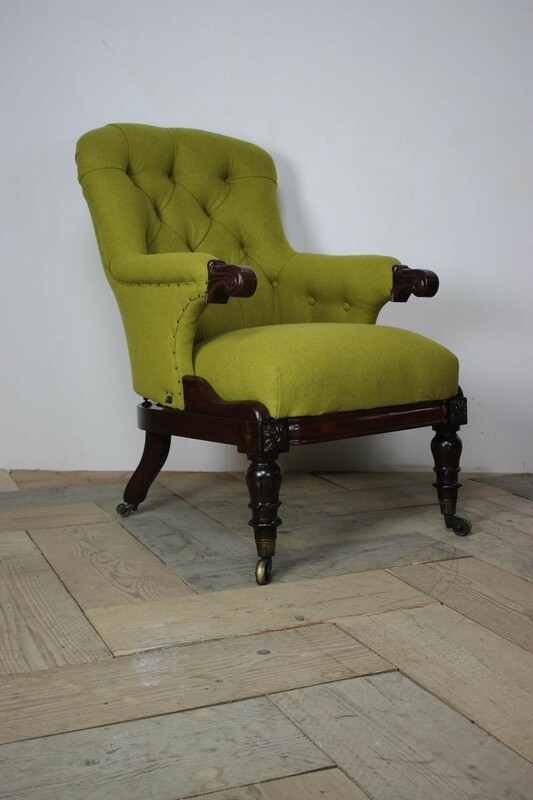 A fine quality 19th century English, George IV easy reclining library armchair . 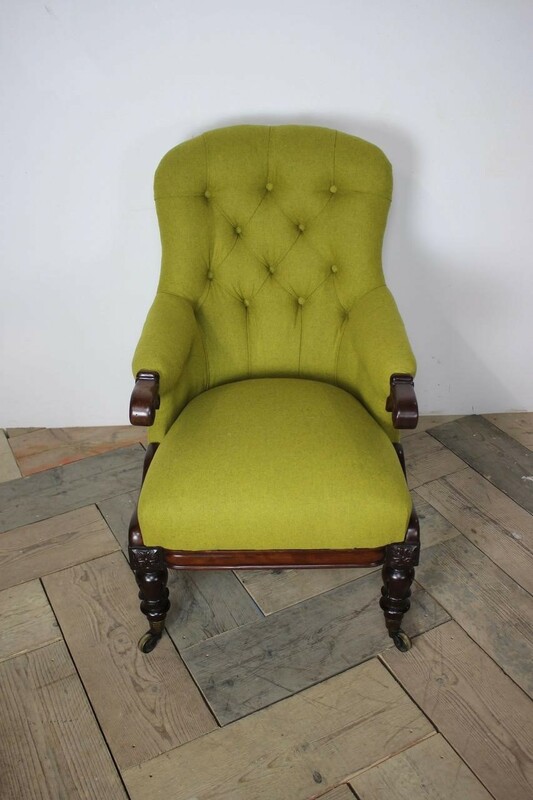 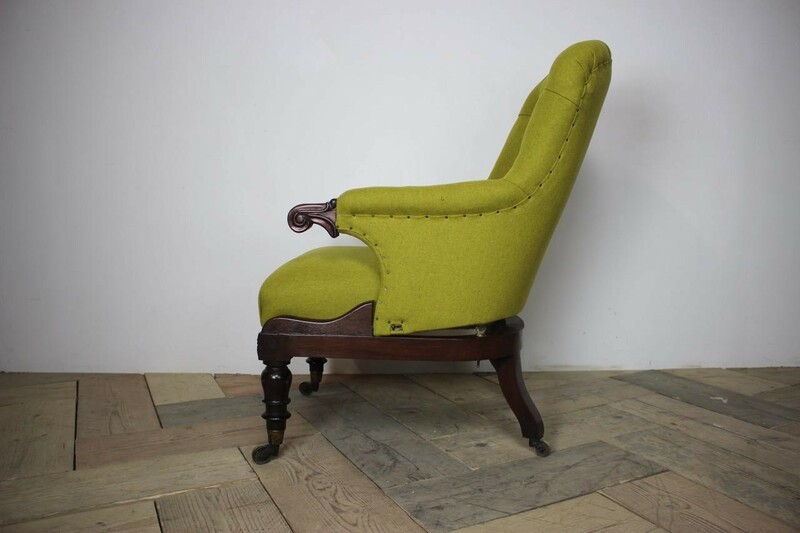 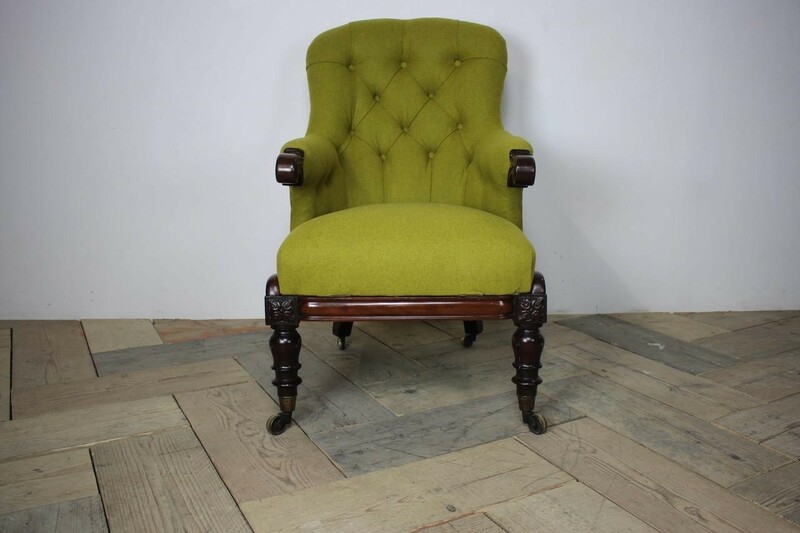 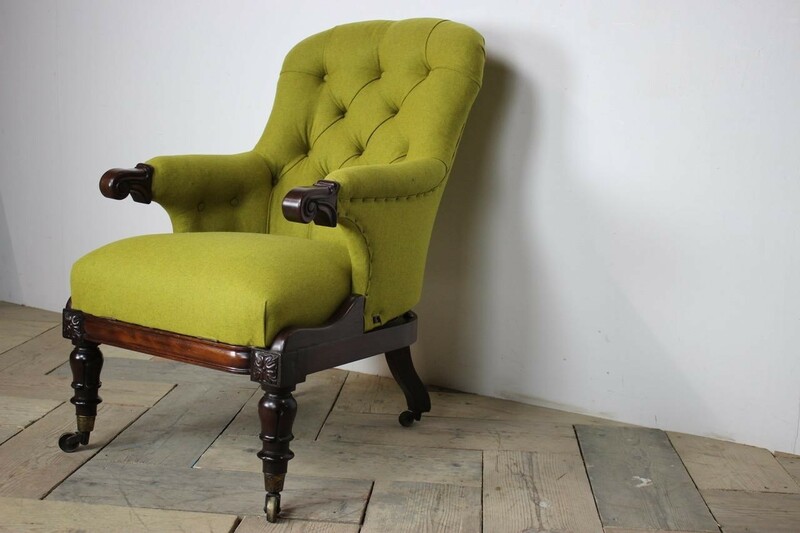 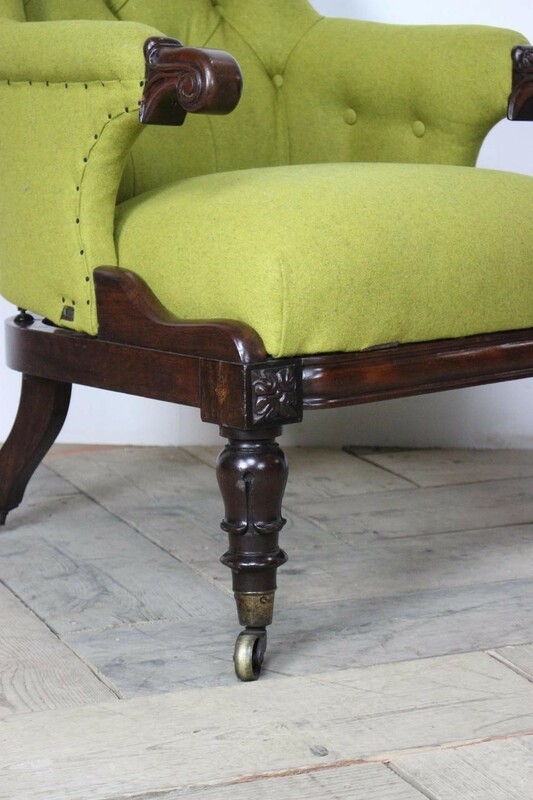 The shaped back , combined arms and mechanical reclining seat, having been reupholstered by us in green wool on a mahogany frame base with registration mark. 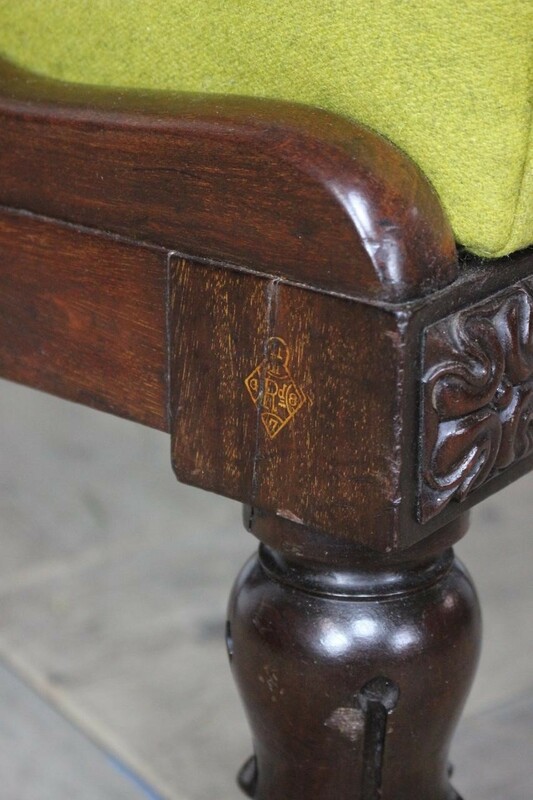 Curved and turned front mahogany legs with brass castors , stamped Crown symbol and the word Patent.